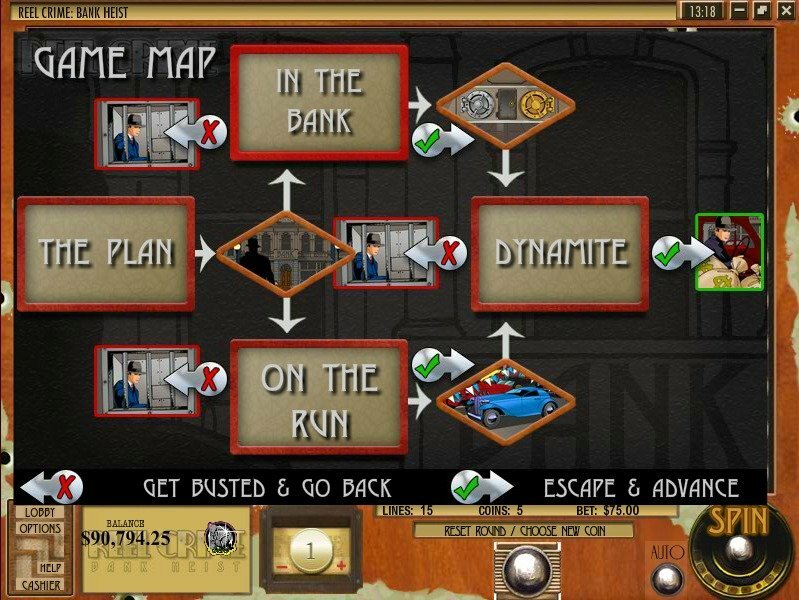 Reel Crime slot machine takes you on an excellent journey of bank robbery. A bit like a Choose Your Own Adventure book (for those of you who remember what that is) and despite having mediocre graphics, this is an engaging and compelling slot machine that will have you playing for more than just the small change you invest in it. You’ve got a job to do. Tuck that Tommy Gun under your shoulder, take a last drag on your cigar and get ready for the most dangerous, but most profitable bank heist you’ve ever attempted in your life. Who said crime doesn’t pay? At Rival Gaming’s Reel Crime slot machine it sure does. Reel Crime slot machine puts you in the place of a bank robber hired by the mob to clean out the city’s national establishment. 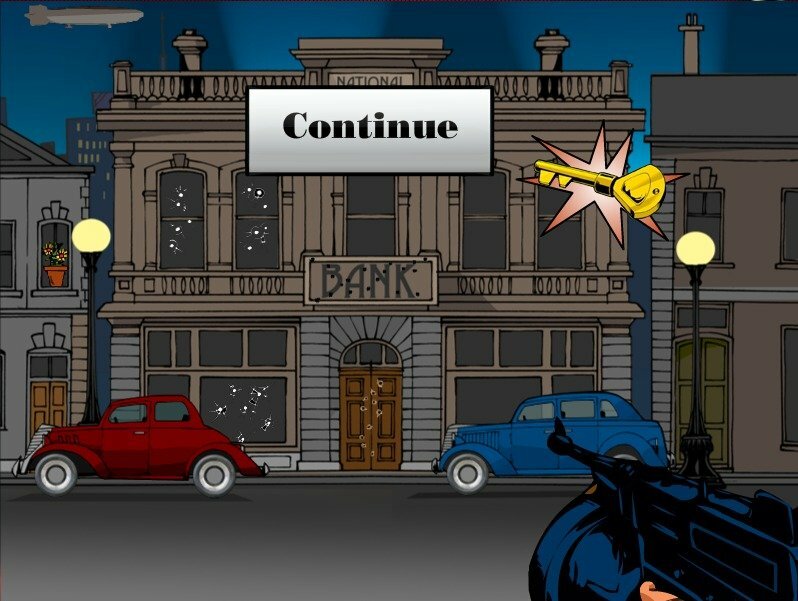 As one of Rival Gaming’s famous i-Slots, Reel Crime takes you through the complete journey of bank robbery step by step while you hold your breath hoping that the cops won’t catch you and throw you in jail. 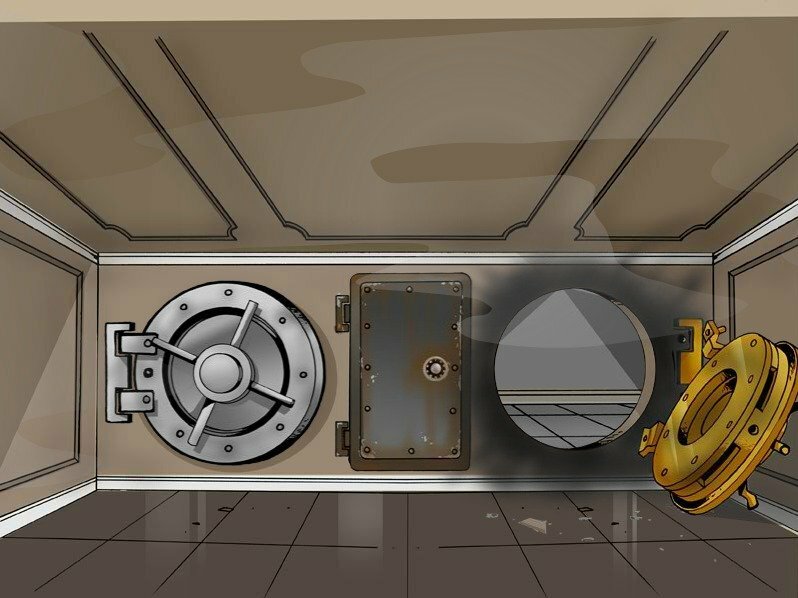 As one of Rival Gaming’s famous i-Slots, Reel Crime takes you through the complete journey of bank robbery step by step while you hold your breath hoping that the cops won’t catch you and through you in jail. Players begin the game in the planning stages of the heist. Once you get three Tommy Gun symbols you’re off to the bank where you get to shoot up different sections of the building for instant cash wins until you reveal the key. Use the key to enter the bank where you try to open the vaults before the night-guards catch you. Three police symbols give the pigs one point while three vault symbols get you closer to opening that door. If you manage to break through before the cops bust you then you can blow up a final vault door and start spinning to see if you have what it takes to make your final get away. Even at this last stage you can be caught by the cops and you’ll have to start your journey over from the very beginning. Animations and graphics at Reel Crime slot machine as well as the rest of Rival Gaming’s i-Slots are notoriously basic. While this feels like more of a style choice than a lack of ability or ingenuity, it’s possible that in improvement in attention to detail and more realistic looking symbols could improve your first impressions of this game. The intro clip to the game however has a quality, almost comic book feel to it while audio effects and background sounds are simple and un-intrusive while also adding to the overall feel to the game.